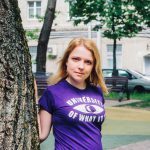 Alesja Serada has BA in Oriental Philology from Belarussian State University (Minsk, 2006) and BA in Media & Communication from European Humanities University (Vilnius, 2017). She turned to game studies in 2016 after gaining several years of working experience in game marketing. Currently she is a student of MA programme in Sociology (specialization: Visual and Cultural Studies) at European Humanities University in Vilnius, Lithuania. This paper explores specific forms of playbor that can be found in a typical free-to-play game Royal Story. The research objective is to reveal game design patterns when play becomes work, and vice versa, and explain them from the economic perspective. To achieve it, we conceptualize playbor within context of game studies and apply our updated definition of it to our observations of 60 highly dedicated players of the game. Thus, we verify existence of playbor in Royal Story in a number of sometimes unexpected forms, such as, communicating with other members of the gaming community or purchasing luxury goods.